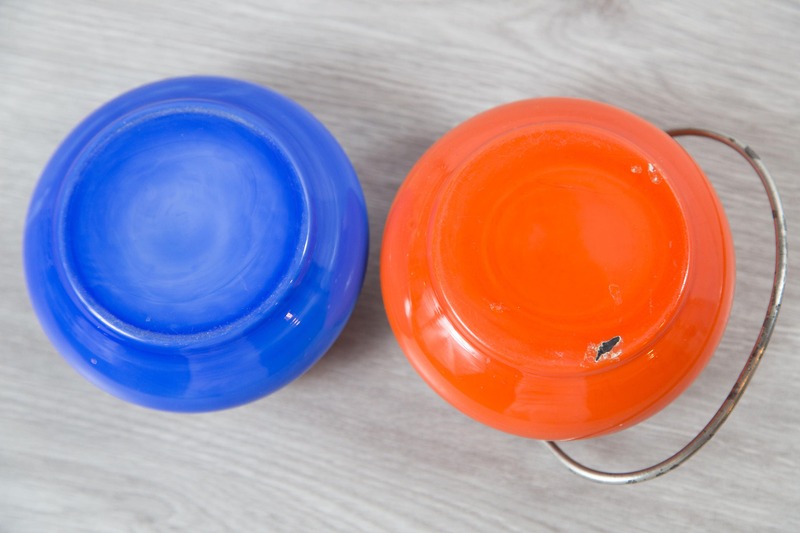 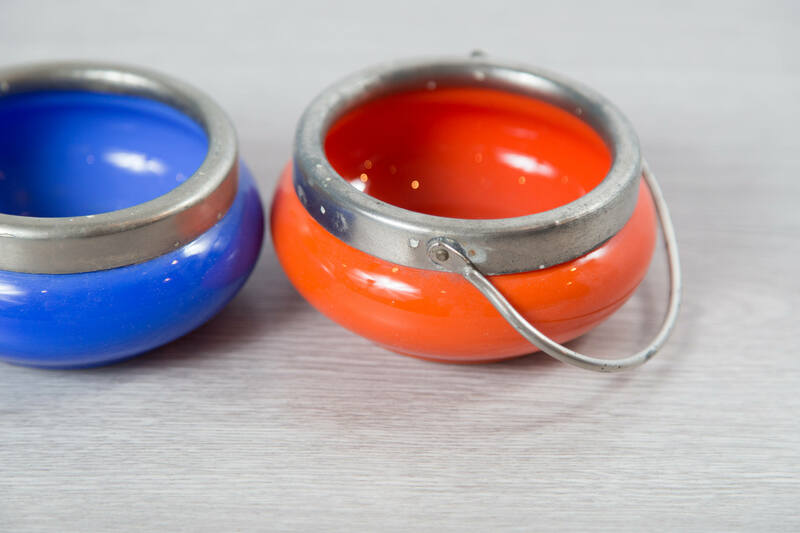 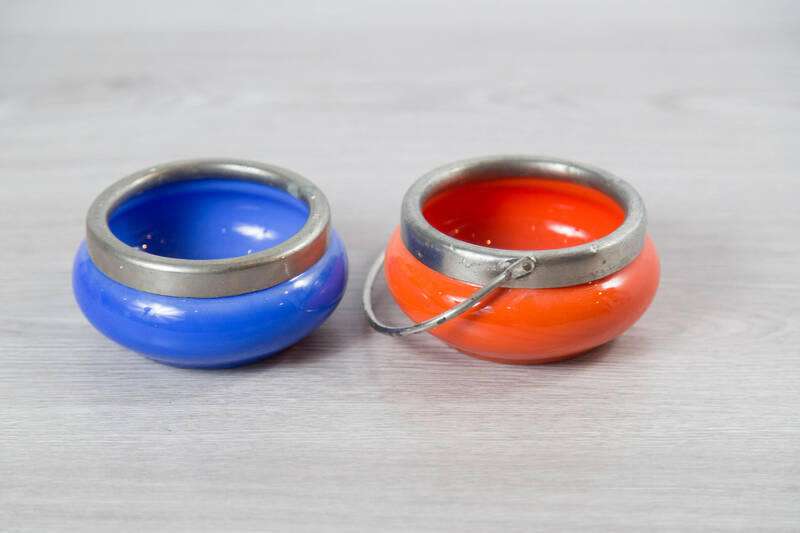 These are beautiful vintage blue and orange glass bowls with metal rims and handles. 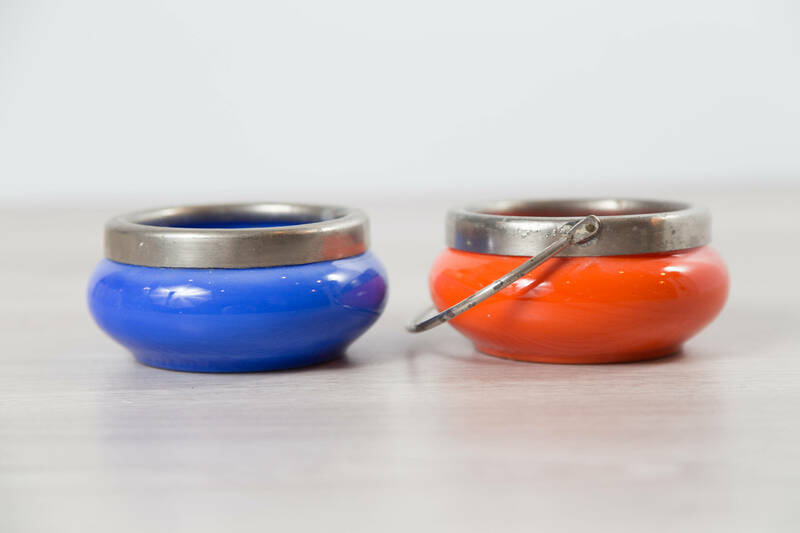 The listing price is for one bowl. 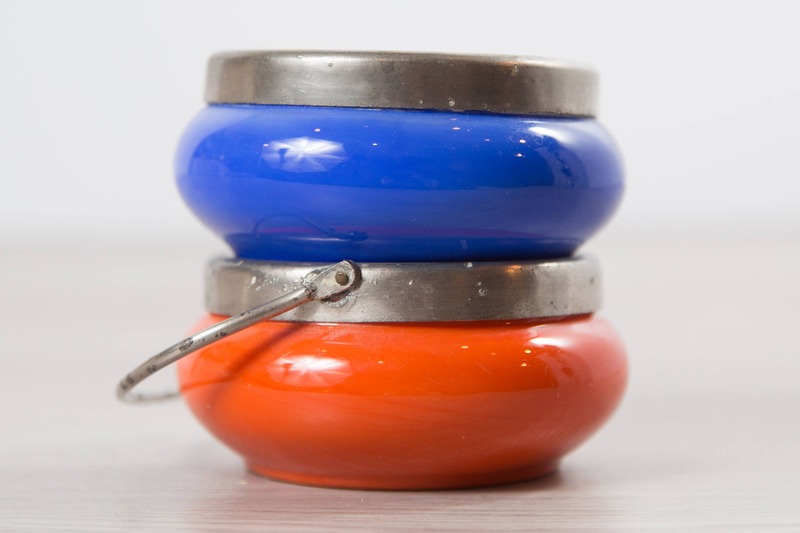 Each piece is in excellent condition. 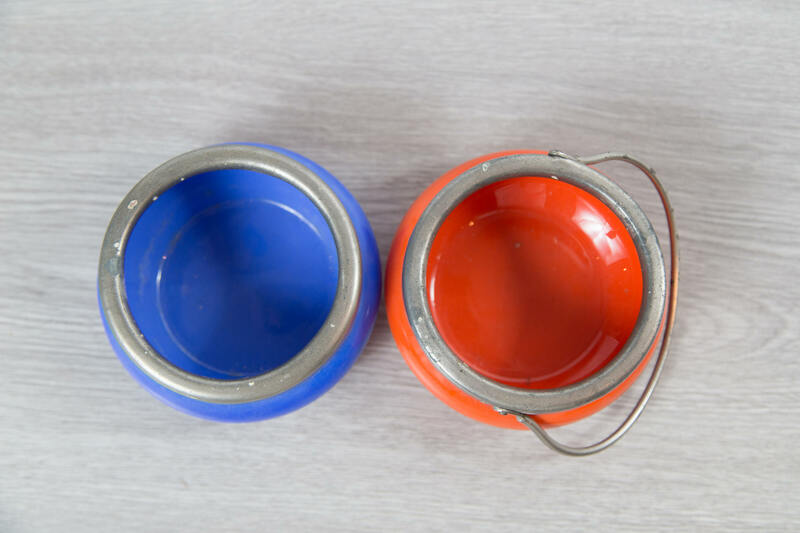 See photos.